One of the no kill programs we promote relates to community involvement and public relations. This is a reference to actions by the municipal animal shelter. 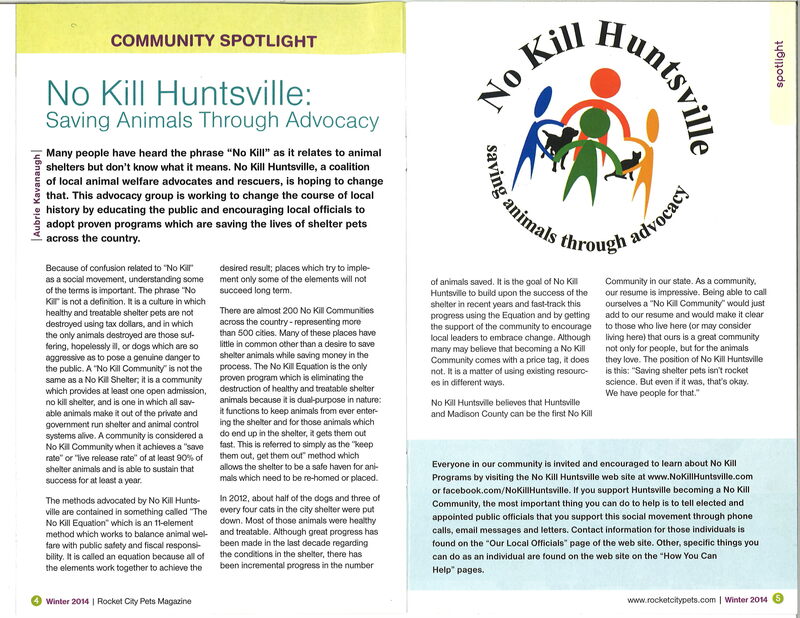 Having said that, we of No Kill Huntsville do all we can to keep our subject on the "community radar." We often seek out media coverage for the city in order to work to bridge the gap between Huntsville Animal Services and the public it exists to serve.